“There has to be a better way to haul gear!” Harold Olaf Cecil on an early Giant Loop ride (2000), constantly fiddling with a rafting dry bag lashed to a heavy custom rack and road bike saddle bags that had to be held out of the way to kick start his 1998 Honda XR600R. Since 2008, Giant Loop has evolved from two adventure motorcycle riders with a single saddlebag available only online, into one of the world’s most innovative motorcycle soft luggage and gear makers. Our product line now includes adventure proof packing systems and gear for motorcycles, snowmobiles and snow bikes, and outdoor extremes. Riders worldwide energize and inspire us to continually improve, and each design is prototyped and tested in some of the most demanding off-road conditions. Some of the very best riders in the world use Giant Loop gear, including Baja 1000 winner Quinn Cody, off-road racing legend Malcolm Smith, world-record setting Husaberg Adventure Team, London-to-Sydney riders from Continental Drift, Giant Loop Riders page. 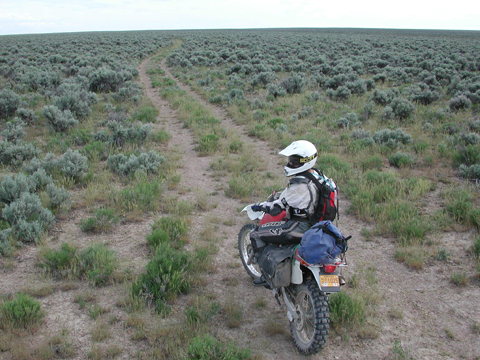 Giant Loop has also received positive reviews in virtually every major US motorcycling publication, as well as Australian, European, African and Asian media. We started Giant Loop with a hope of opening up new possibilities for riders to explore this magnificent planet, and today we stand proud to have expanded horizons for a worldwide community of riders. Go Light! Go Fast! Go Far!